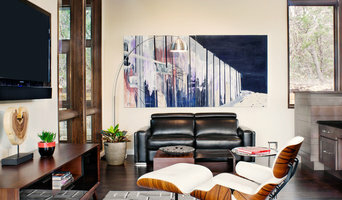 Wander Designs creates modern interiors that draw upon an ever growing portfolio of style concepts inspired by travels. Founded by Katrina Boschenko, Wander Designs is the creation of her lifelong passions of design and travel. Katrina has a well-trained eye for uniqueness, quality, craftsmanship, furnishings, art and textiles. Interiors are built on creativity, collaboration, and unparalleled service. Katrina listens carefully to help discover the essence of your style, using it as a guide to curate your dream space. Natalie Howe is the owner and designer of Natalie Howe Design. A graduate from Texas A&M, she went on to attend UCLA Interior Design School. A daughter of a military family, Natalie contributes her design sensibilities from her travels and her ease of communicating to living in different cultures. She's won local, regional and national awards for her work, been published on MSN.com, the HGTV.com design blog and Tribeza in Austin, Texas. Her specialty is to take outdated and inefficient kitchens and transform them into a beautiful, highly functional space. She offers a variety of design packages to ensure a simple and efficient experience for her clients. At Next Level Austin, you will find a team with the vision to transform your space and the experience to make it happen. We specialize in interior design of your home, condo or office. We also work on remodels and new construction as well as exteriors. We use colors that inspire, spaces that flow and textures that intrigue. For us, a successful project means we utilize the available resources to maximize a client’s investment. We bring to every project our unique business model, clear and distinct workflow, dedicated professionalism and proven design savvy. Design is not linear – it is a visionary process that involves deep intimacy with a client’s tastes. We guide each client in the decision-making process, advising to ensure consistency while creating a space that is truly one-of-a-kind. Our design process begins with discovery: finding out what is and is not working in the existing space. 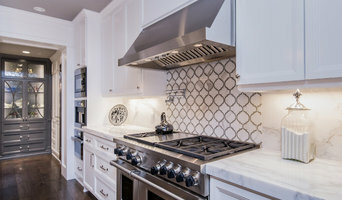 Our goal is to create a unique space that strikes a balance between our client’s wants and needs. In many cases, we identify one or several pieces of inspiration to set the color palate – these could be favorite pieces of furniture, art, heirlooms or photographs. We determine the project parameters, such as budget, timeline, space restrictions or expansion possibilities. We then brainstorm different floor plan options and identify key elements which include textures, materials, furniture and other pieces to tie the room together. We work together with our client to hone selections and to finalize the execution plan. From here, we work quickly and seamlessly to transform the concept into reality. We are #HomeIsHowYouBuildIt. To put simply, we specialize in small space design and small-project home renovations. We are a small team of 5 making local house calls in the North Austin area. We are new to the Houzz app, but have over a decade of design and building experience in Tiny houses and small space renovations. We just just started expanding our business to residential neighborhoods to build up our clients base to meet more needs and to expand our family business. From custom cabinetry, to homemade furniture, to shelves, to drywall, to light plumbing and electrical work, to fences, to decks, to finish carpentry, we do it all! Shoot us a message, and lets get you on the books for a consultation! Can't wait to work with you! SLIC Interiors provides interior design consultation to residential & commercial projects. SLIC is a full service design firm, working closely with each client to create an original atmosphere which adheres to the client’s lifestyle and personality. SLIC Interiors can be retained on an hourly or flat fee basis to manage all aspects of the project. We focus on the details making the process fun and stress free for our clients. With an emphasis on the project timeline and budget, our clients rest easy. Sara Cukerbaum is the founder of SLIC Interiors. Sara has worked as a designer at several prestigious residential firms including Eva Quateman Interiors in Chicago & Tocar Design in New York. She later returned to her home town of Austin where she founded SLIC Interiors. Sara's aesthetic is based on her love of sustainable and functional design. In addition to the collection, SLIC Interiors is a full service design firm, also offering furniture restoration services to both designers and the public. Please visit the website to read the full list of services the firm offers. Hi, I’m Kris Miller. I’ve been helping Austin-area homeowners and small businesses beautify their surroundings for 15 years. My approach is simple. I provide complete in-home decorating service and come to you. 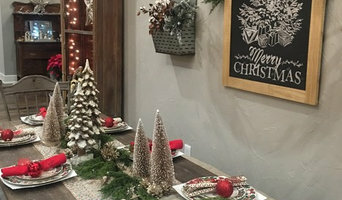 I couple design talent with a complete line of quality home décor products…from window treatments to furnishings, flooring to bedding, lighting to accessories. I'm also experienced at consulting on remodel & new home construction projects. I base my design philosophy on the principle of creating beautiful, livable interiors and striving to make home a haven. Rather than imposing my personal style on any client, I make every effort to listen and collaborate to arrive at the best design solution… one that reflects my client’s individual preferences, taste, and lifestyle. I graduated from the University of Texas with a Business Administration degree and built a career in human resources before pursuing my current career in design. Given my background in employee relations and corporate recruiting, my listening skills are a strength. Clients frequently comment that my listening skills set me apart from other designers they've previously hired. During my time with Decorating Den, I've been invited to partner with clients on some amazing projects. Several jobs have been recognized and awarded in our firm's International Dream Room Design Contest, judged by editors from top home décor magazines. My work has been published in several of those trade magazines and has also been featured in the book Dream Windows. But more important than awards or press, I enjoy an ever-growing list of happy clients that often become friends. When I’m not busy working my business, I enjoy life with my husband, our 12-year-old daughter, and our rescue puppy. As a family, we like to snow ski and indoor sky dive. My favorite personal hobbies are yoga & barre. After attending surf camp in Hawaii a few years ago, I would love to pursue surfing as well! I’ve lived in Austin for over 20 years and am actively involved in my church and community. I volunteer for the Capital Area Food Bank & the Ronald McDonald House at Dell Children's Hospital. If you’re looking for a designer who is easy to work with, listens, respects and expands upon your ideas, understands working within a budget, manages every detail, offers outstanding personal service, and makes decorating a fun experience, then please contact me! Austin Based Award Winning Interior Designer 4X Best of Houzz Winner!